Volunteers are one of the most valuable and important resources when it comes to staging a major sports event. Therefore, it is indispensable to professionally plan and implement volunteer management. The recruitment, motivation and coordination of hundreds (or thousands) of volunteers is connected to high investment costs and an enormous amount of time and administration. 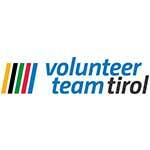 After numerous events in Innsbruck-Tirol in the past, we have built up knowledge and competence in this area and have managed for the first time to develop a sustainable volunteer pool. This 1st volunteer platform in Austria was launched at the end of 2014 and will help local event planners to find motivated helpers and save resources at the same time. If required servicing in the area of volunteers can be just a support in the mediation or the complete management of individual or the whole planning and management area.